is one of the largest agribusiness company not only in the United States but also in the whole world. Archer Daniels Midland Company firstly was founded as Archer-Daniels Linseed Company in 1902 by George A. Archer and John W. Daniels, and later on was formed into the Archer-Daniels-Midland Company after it was acquired by Midland Linseed Products Company in 1923 (History). ADM Co. was not significant before infamous Dwayne Andreas appointed as the chairman and CEO for the company in 1970. Dwayne Andreas spread ADM to oversees to new international markets which gave ADM opportunity to expanded their product portfolio and reduce their costs. Aggressive growth strategy favored ADM by increasing its sales to a high record from $320 million to $13.3 billion as well as increased ADM market value from $78 million to $11.8 billion (Staff, 1996). In 1995, ADM Co. accused of price-fixing over lysine and sentenced to pay a $100 million which changed the company history dramatically. Today ADM is still doing operations on agribusiness: milling, processing, specialty feed ingredients, specialty food ingredients, cocoa, nutrition and more in worldwide 256 locations (History). With Dwayne Andreas becoming the chairman and CEO, ADMâ€™s revenues and profits rocketed sky which made investors and shareholder extremely happy and satisfied. Shareholders believed in Mr. Andreas blindly and never bother to questions his actions. Mr. Andreas had an immense power and control over the board of directors and shareholders. In one of the board meeting, Mr. Andreas even exploded over shareholders to enforce his dominance to run ADM by his rules. Mr. Andreas behaviors show that ADM was ruled under theocratic hegemony system where he sees himself as the God of the company and rule in every division. Moreover, Dwayne Andreas build a system in the company that he had high secrecy of his deals, disclosed and shared limited information with ADM investors. Additionally, there was a majority presence of Andreas family in ADM board of directors which explains why ADM board members were ineffective to question Mr. Andreas. On the other hand, it was not easy for family members to earn their places in the management. Dwayne Andreas pushed his son Michael Andreas to his limits and basically Mike Andreas had to work his way up to the top. Lastly, Dwayne Andreas had many politically powerful friends such as Mikhail Gorbachev (the seventh and last undisputed leader of the Soviet Union) and Bob Dole (Kansas State Senator from 1969 to 1995) which gave him reference, reputation and confidence to his international expansion campaign. On October 15, ADM pleaded guilty over price-fixing charges and agreed to pay $100 million. Moreover, ADM agreed to help government to build a case against specific ADM executives such as Dwayne Andreasâ€™ son Michael D. Andreas. Mark Whitacre, ADM executive, helped government by taping executive-room conversations specifically price-fixing related conversations to provide evidence for the lawsuit. Mr. Whitacre was a key player in this case and helped government to file the biggest international cartel case for the history. Ironically, ADM fired Mr. Whitacre on August 1995; accused of peculating ADM funds over $9 million while gathering price-fixing information for the government (Staff, 1996). ADM and four other Asian organizations, two from Japan and two from South Korea, accepted the charges for price-fixing. Scott R. Lassar, a highly reputable attorney from Chicago, was appointed as the U.S. attorney to prosecute Terrance S. Wilson, former vice president, and Dwayne Andreas. On the other hand, Mr. Wilson and Mr. Andreas were represented by two famous white collar lawyers. Mr. Lassar was successfully enforced some Asian executives to testify against Mr. Wilson and Mr. Andreas as well as he convinced Barrie R. Cox, president of ADM food-additives division, to give testimony about Mr. Wilsonâ€™s price-fixing actions for citric acid, a commodity other than lysine. Section 1 of the Sherman Act: â€œ[e]very contract, combination in the form of trust or otherwise, or conspiracy, in restraint of trade or commerce among the several States, or with foreign nations, is declared to be illegalâ€ (Bagley & Savage, 2010, p. 644). 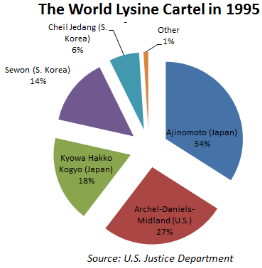 ADM and four other Asian companies violated Sherman Act Section 1 directly by forming a trust and enforce lysine prices to increase and gain unjustified benefits by dominating the market. ADMâ€™s lysine price-fixing is an example of a â€œhorizontal price-fixingâ€ which different retailers form a pact and manipulate a productâ€™s price (Bagley & Savage, 2010, p. 649). ADM had to pay $70 million fine for lysine and $30 million for citric acid price-fixing penalty, totaled $100 million in 1996. This was recorded as the largest antitrust fine in this U.S. history that should signal organization as a good lesson. Additionally, Coca-Cola Co., PepsiCo Inc. and other ADM customers filed lawsuits separately and they won in 2004 which made Archer Daniels Midland Co. penalized to pay another $400 million in total (Manor, 2004). Internally, ADM board of directors approved new governance policies after Dwayne Andreas accepted the price-fixing. Moreover, activist shareholders were not happy with their board of directors at that time and reduced member number from 17 to 12 and discharged board members who were also in management. Later on, Mr. Andreas left his executive VP position, but surprisingly still worked as a consultant for the company. Interestingly, in 1995, U.S. Justice Department revised its International Guidelines for antitrust laws. With the renewed guidelines, U.S. had enforced its antitrust laws to reach extraterritorial regions. There are two side of this case. On one hand, there are organizations have responsibilities to their owners and shareholders and also to stakeholders. 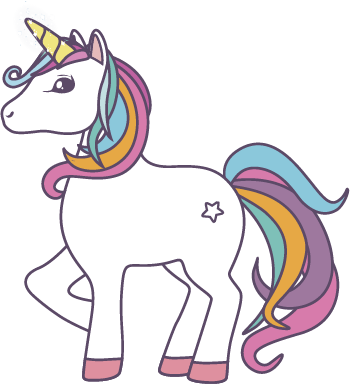 Profit companiesâ€™ common goal is to provide cash in return of investorsâ€™ money, and that makes greedy executives to go wild and aim illegal actions. Ideally, shareholders elect board of directors to prevent executivesâ€™ such actions to break the law. However, it is observed in ADM case that an executive, who provides stable cash return, can take over control and have power over board of directors and even over shareholders. Who has the blame here? On the other hand, government has a responsibility to prevent illegal actions. Unfortunately, history proves that the law is not perfect and it has to be revised and renewed constantly. Right now, U.S. justice department have multiple sections in its antitrust law. Sherman Act section 1 is against on trusts have more than one companies and can be done horizontal price-fixing or vertical price-fixing, section 2 prevents monopolies to have market power and price dominancy, and so on. In short, these antitrust laws are in place; however, just the law itself is not enough to spot these price-fixing operations. Unfortunately, the system requires an informant or a whistleblower to alert the government officials or even to collect the evidence internally to have enough proof to prosecute the responsible people. Bagley, C. E., & Savage, D. W. (2010). Managers and the Legal Environment (6 ed.). Mason, OH: South-Western Cengage Learning. History. (n.d.). Retrieved May 6, 2014, from Archer Daniels Midland Company: http://www.adm.com/en-US/company/history/Pages/default.aspx Kilman, S. (1998, February 9). In Archer-Daniels Saga, Now the Executives Face Trial. Wall Street Journal. Manor, R. (2004, June 19). ADM settles price-fixing charges for $400 million. Retrieved May 6, 2014, from chicagotribune.com: http://articles.chicagotribune.com/2004-06-19/business/0406190182_1_lysine-and-citric-acid-mark-whitacre-corn-syrup Staff. (1996, November 18). It Isn't Dwayne's World Anymore. Business Week, 82-83.